You need a download manager, such as the Chrome extension “Facebook Video Downloader”, to download video clips from Facebook. Facebook Video Downloader allows us to download Facebook clips with low or high quality option, convert into Mp3, and get the embedded code for inserting into blog. You can download and install Facebook Video Downloader for Chrome here. The installation is rather easy, you just click “Install” to install this extension. You may need to restart Chrome before using. 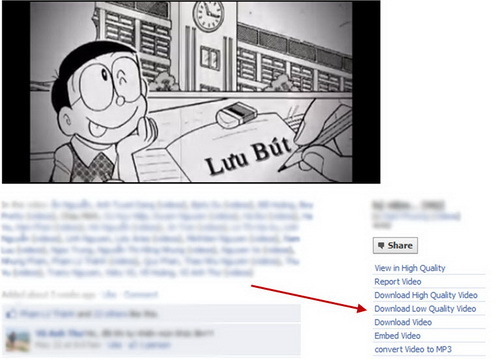 To download a video clip, first, you access to the Facebook page having the clip. You then can see several options from the Facebook Video Downloader, such as “download video”, “convert video to mp3”, and “embed video”. You can download this clip by clicking on “save link as” or copying the link address into a download accelerator program. Note that the options “download high quality video” and “download low quality video” do not always display because they depend on the quality of the original video. To get embedded code of a video, click on “embed video” and a dialog will be opened. You now can copy and paste it into the html code of your blog. 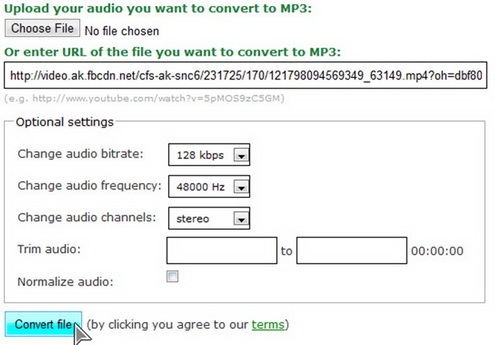 With this extension, you also can convert videos into mp3 files directly. The only thing you need to do is to provide the quality of target mp3 files or trimming information.